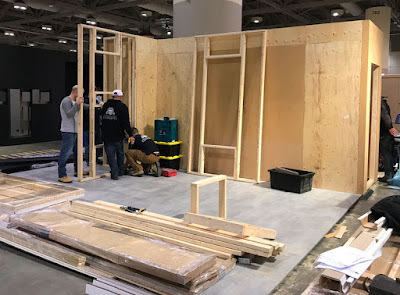 For IDS Toronto 2019 happening this week at the Toronto Convention Centre, we at Toronto Custom Concepts have been engaged in an exciting project to design and construct a memorable booth for Euroline Appliances featuring SMEG appliances and a unique showcase of Dolce & Gabbana launch of exclusive appliance line. Here is an in-progress shots of the IDS Toronto booth setup for Euroline. Stop by if you are at the IDS Toronto show.